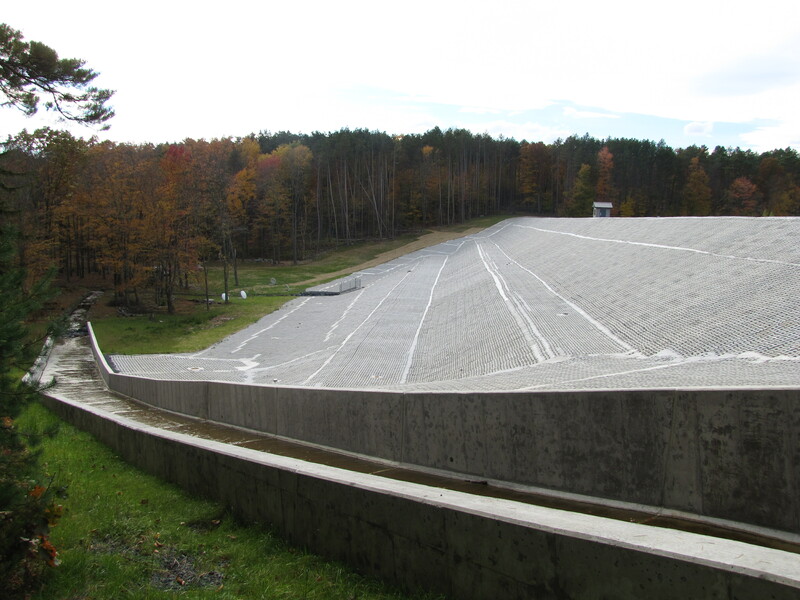 For over 80 years, RKR Hess has provided outstanding dam design services to both public and private clients throughout Pennsylvania.Keeping up with Pennsylvania Department of Environmental Protection (PADEP) Dam Safety Program and fiscal responsibility regulations can be a daunting task for dam owners. Fortunately, our engineers remain well versed on the latest federal and state dam inspection and safety regulations and requirements. 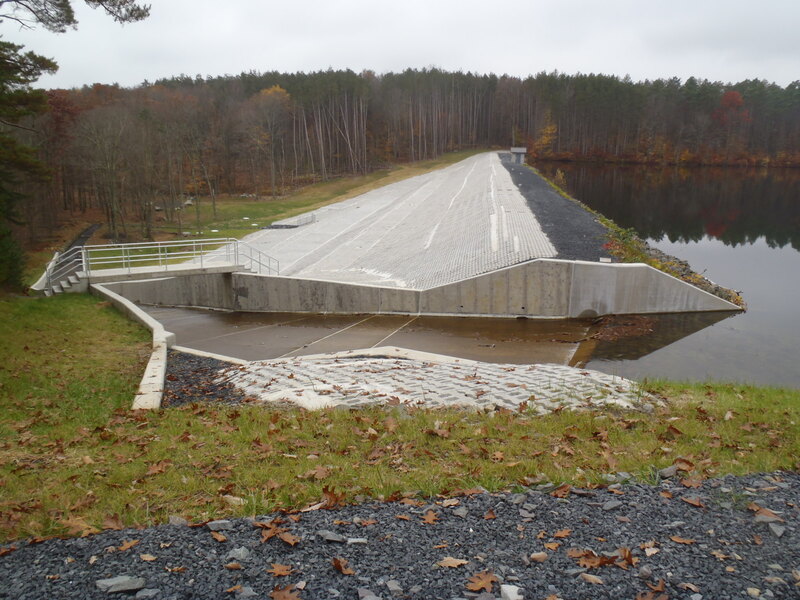 Project: East Stroudsburg Dam Rehabilitation, Middle Smithfield Township, Monroe County, Pa.
Overview: We provided dam rehabilitation design services, including overtopping protection, spillway replacement and repairs, drawdown system repairs, and stabilization measures. 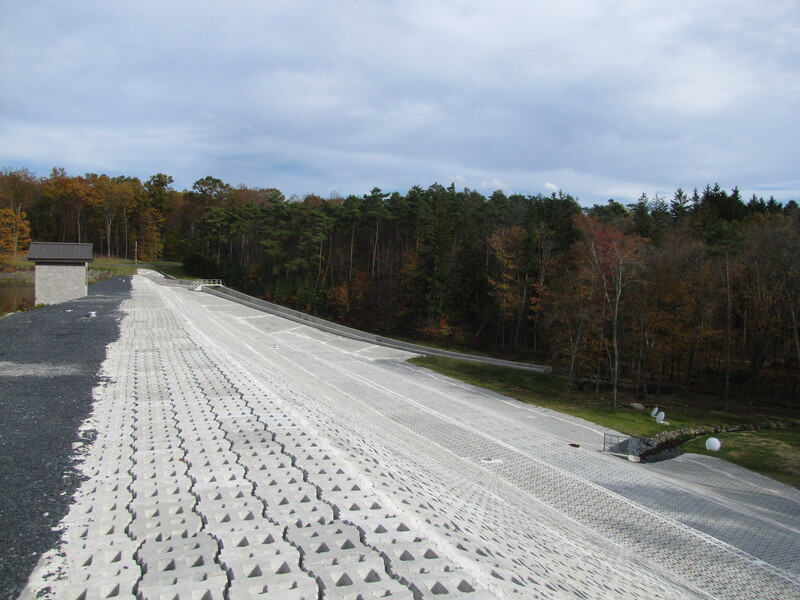 Design elements include modifications to the existing dam and appurtenances, erosion and sediment pollution control, grading, access, staging areas, drawdown siphon, and drainage system flow monitoring stations. We also designed a half-acre wetlands replacement site. Our engineering team prepared permit applications and plans for approval, including a PA DEP Safety Letter of Authorization a NPDES Permit for storm water discharges, and an ESPC Plan. Additionally, we prepared applications for a PA H2O Grant and a PennVEST Loan, and managed payment applications. Project Recognition: Our firm was honored with the 2012 Outstanding Civil Engineering Achievement Award from the Lehigh Valley Section, American Society of Civil Engineers. To view images of this project, visit our projects page.